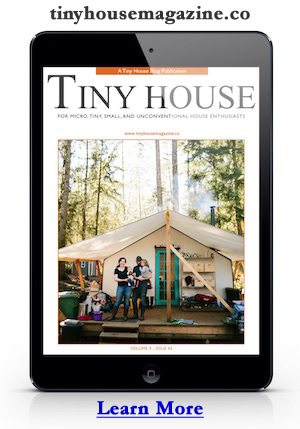 If you’re looking for a good place to start learning about how to design and build your own tiny house, Insitebuilders looks like a great place to start. They publish books that show you how to draw complex construction drawings and make them easy to understand. They also teach you how to use Google SketchUp, the 3D drafting software (for Mac and PC), offered free by Google. To test their use of 3D construction models in the real world they have designed and built tiny houses. The NEST is one of their oldest research tiny houses. They’ve used the NEST to test the values of interactive 3D construction documents including extracting permit documents as BIM output, 3D fabrication, assembly, and 3D management models instead of using traditional 2D field sketches and drawings. This entry was posted in Books and tagged 3d design, design books, drafting, google sketchup, house design, Plans, sketchup, tiny house, tiny house design. Where do you find the free projects of tiny house models? l am moved by this new movement of the Tiny community. l had recently bought myself a car hauler trailer and want to see some design for it 80′ by 17ft.